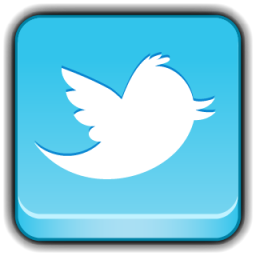 Definition: Ghost Adventures is an American television series about the paranormal that premiered on October 17, 2008, on the Travel Channel. Produced by MY-Tupelo Entertainment, (a merger of MY Entertainment and Tupelo-Honey Productions the program follows ghost hunters Zak Bagans, Nick Groff, and Aaron Goodwin as they investigate locations that are reported to be haunted. The show is introduced and narrated by Zak Bagans. 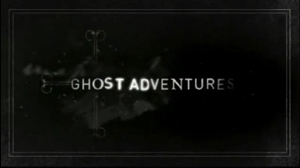 Ghost Adventures began as an independent film, produced in a documentary style. It was filmed in 2004 and produced by 4Reel Productions in 2006. The Syfy Channel premiered 4Reel's Ghost Adventures on July 25, 2007. The documentary centered on the trio's investigation of alleged paranormal activity in and around Virginia City, Nevada. The crew returned there during the series' fifth season. The film also featured the Goldfield Hotel in Goldfield, Nevada, where the crew later returned to during the series' fourth and seventh seasons and caught more substantial evidence. Zak Bagans, Nick Groff, and Aaron Goodwin investigate reportedly haunted locations, hoping to collect visual or auditory evidence of paranormal activity. Each episode begins with the trio touring the investigation site with its owners or caretakers. These introductions typically include Zak's voice-overs of the site's history as well as interviews with people who claim to have witnessed paranormal phenomena there. On the basis of these interviews, the crew place X's with black or gray tape at the sites of some serious alleged paranormal activity. They later return to these spots in order to set up static night-vision cameras to try and film it happening. After completing the walk-through they discuss their strategy, then lock themselves in the location overnight, which they believe will prevent "audio contamination". They use a variety of equipment, including digital thermometers, electromagnetic field (EMF) meters, handheld digital video cameras, audio recorders, the Ovilus device, point of view cameras, and infrared night-vision cameras in an effort to capture evidence of ghosts. The members sometimes place objects and shout verbal taunts they believe ghosts might move or respond to. At the end of the episode, they analyze their audio, photographs, and video footage, often with the assistance of alleged paranormal experts, and present anything they feel is "unexplained phenomena" to the audience. During the series, the crew claims to have captured and experienced various Fortean phenomena, which they say include simultaneous equipment malfunctions such as battery drain, voltage spikes, fluctuations in electromagnetic fields, sudden changes in temperature (such as cold spots), unexplained noises, electronic voice phenomena (EVP), and apparitions. The crew also claim to have recorded spirit possessions on video. Bagans believes that he was possessed at the Preston School of Industry and at Poveglia Island in Italy. Groff claims that he was overtaken by a "dark energy" at the Moon River Brewing Company. Goodwin claims he was "under the influence of a dark spirit" at Bobby Mackey's Music World and Winchester Mystery House. The permanent members of the cast and crew are Zak Bagans, Nick Groff, and Aaron Goodwin. Zachary Alexander Bagans is an American executive producer, director, writer, musician and lead investigator/co-founder of the Ghost Adventures Crew (G.A.C.) organization. Bagans was born on April 5, 1977 in Washington D.C and states he grew up in Las Vegas. He graduated Glenbard West High School in Glen Ellyn, Illinois in 1995. Bagans attended the Motion Picture Institute in Michigan. Following graduation from MPI, he moved to Las Vegas, aspiring to film documentaries. After arriving in Las Vegas, he found work as a wedding disc jockey. A former skeptic, Bagans says that his passion for investigating the paranormal resulted from what he describes as "a face-to-face encounter with the spirit of a suicidal woman", which he says haunted his former apartment building in Trenton, Michigan. Nicholas Groff (born April 19, 1980) is a co-investigator and executive producer of Ghost Adventures, as well as an editor and cameraman for the show. Groff was executive producer for a show on the Travel Channel called Vegas Stripped, a behind-the-scenes look at the operations of the South Point Hotel, Casino & Spa in Las Vegas, NV. Born in San Jose, California, Groff grew up in New England. He graduated from Pelham High School in New Hampshire and later studied film at the University of Nevada, Las Vegas, where he met Aaron Goodwin. At the age of eight he fell out of a tree in the yard of his family's home in Salem, New Hampshire, which Groff described as "a near-death experience". Two years later, while at home alone, he says he saw a ghostly black figure. In a 2012 interview, Groff questioned, "Was it my imagination? Or was it something from my accident that made me more open to that world?" Groff befriended Bagans during Groff's wedding in Las Vegas. Groff claims he was possessed by an entity at the Moon River Brewing Company in Savannah, Georgia and says it was one of his "most life-changing experiences". According to Groff, an encounter with a female spirit at the Linda Vista Community Hospital in East Los Angeles, California gave him insights into life after death. Groff was allegedly possessed in Natchez, Mississippi during the investigation of King's Tavern. Aaron Goodwin (born April 1, 1976) is an equipment technician, camera operator, and co-investigator of Ghost Adventures. Originally from Portland, Oregon, as of 2012 he resides in Las Vegas. Before joining Bagans and Groff, Goodwin had worked as a camera operator for the Ultimate Fighting Championship (UFC) and several behind-the-scenes film premieres in Las Vegas. Goodwin says that prior to his experiences in Virginia City, Nevada, he "never really thought twice about ghosts." Goodwin is often left alone in the alleged "hotspots" during lockdowns to act as bait for supposed paranormal "entities". Goodwin sells a line of clothing bearing the label "Big Steppin".